One of thirty-eight Coronation Class 4-6-2s built in Crewe by the LMS under the design of Sir William Stanier. 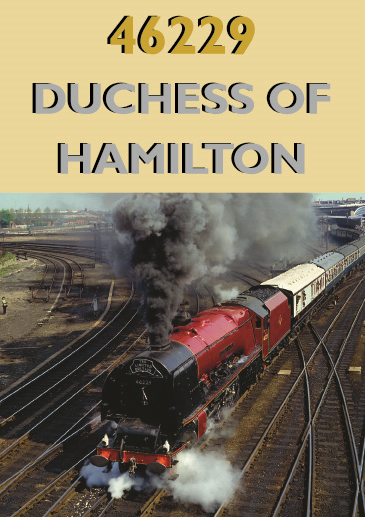 Duchess of Hamilton is very much part of the National Collection now and was brought back into main line use in the 1980s. In this dvd we look at her main line runs starting with her test runs in 1990 following her second major overhaul promoted by The Friends of the National Railway Museum. 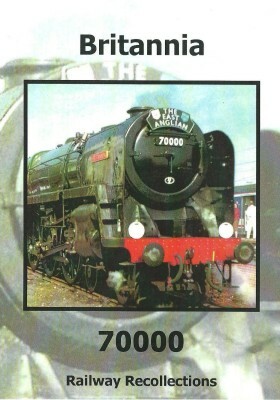 Featured in this dvd are 46229’s runs over the Settle-Carlisle Railway, those over the North Wales route to Holyhead, to Scarborough and into the south of England from Paddington. A timeless scene on the S&C, followed by a record of the Duchess’s return to the mainline, as we witness the last Cumbrian Mountain Express. Then un-named and un-painted, and on a test run at Derby. 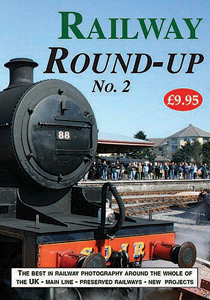 An epic journey over Britain’s premier steam route the S&C. Starting at York, all her mainline trips over the route are combined into one out and back working. An historic North Wales Coast Express and her subsequent runs on the Crewe to Hollyhead route. 1994 and the engine’s visit to the GCR, another return to the main line at Scarborough and the historic trip to the south, becoming the first LMS Pacific at Paddington and over LSWR metals since City of Bradford in 1948. We end the profile on Duchess of Hamilton at the National Railway Museum at York, where she is currently on display for all to see.